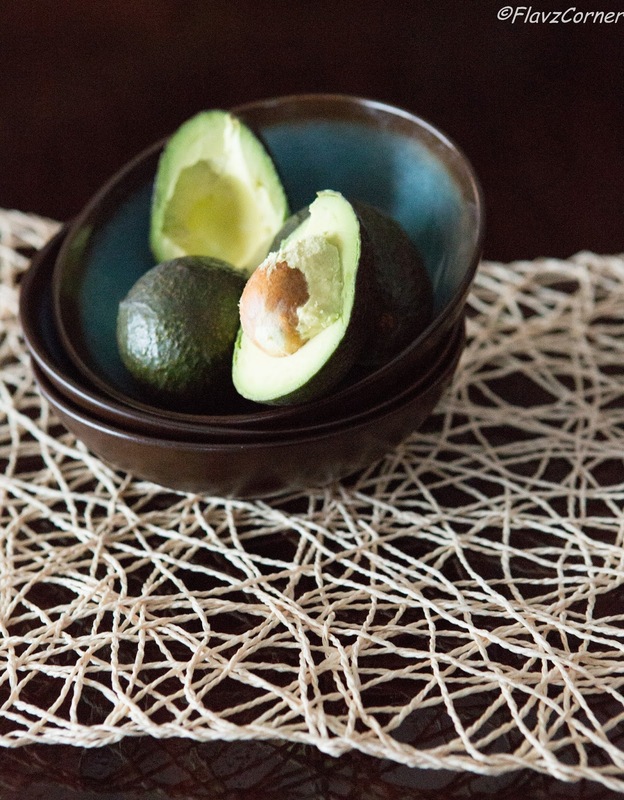 Avocados are regarded as 'Mother Nature's Skin Moisturizers'. It is a fruit that is edible as well as topically applicable. Avocados provide nearly 20 essential nutrients, including fiber, Potassium, Vitamin E, B-vitamins and folic acid. The Phytonutrients and the healthy fats offer remarkable benefits to the skin. Last time when my brother and family visited us during summer, I bought some Avocados and made Chutney with it. I made some face pack with the rest of the Avocados and me and my S-I-L had to hide from the kids as they would scream at our face for the green mask. It was hilarious when my hubby looked at my face as if I had the left over Chutney on my face. While we were waiting for the face pack to absorb, somebody rang the door bell and we had to rush to wash it off :). I believe this might have happened to you too!!! 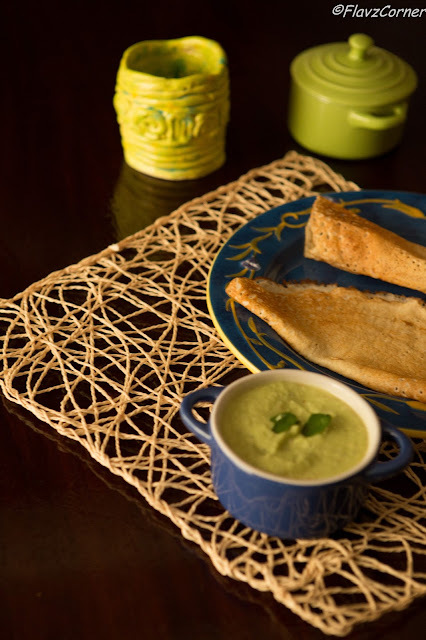 The Chutney can be used with lentil dumpling (Idli) or lentil crepes (Dosa). Avocado tends to change the color when exposed to air due to oxidation just like apples, so it is wise to add an acidic ingredient to stop the oxidation. I usually use lemon juice or green mango in the chutney to prevent browning. 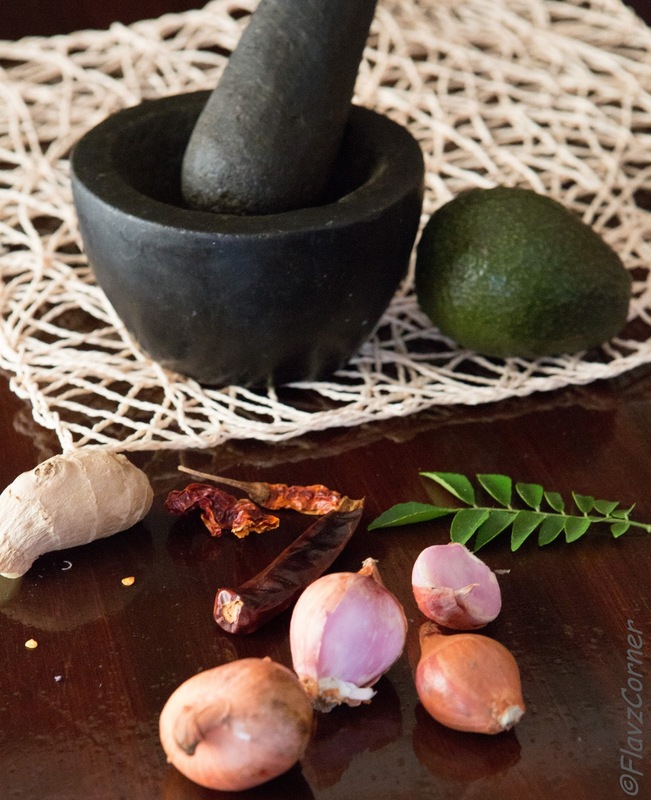 The nice blend of ginger, shallots and curry leaves will take away the avocado flavor from it and it tastes more like a mango chutney. 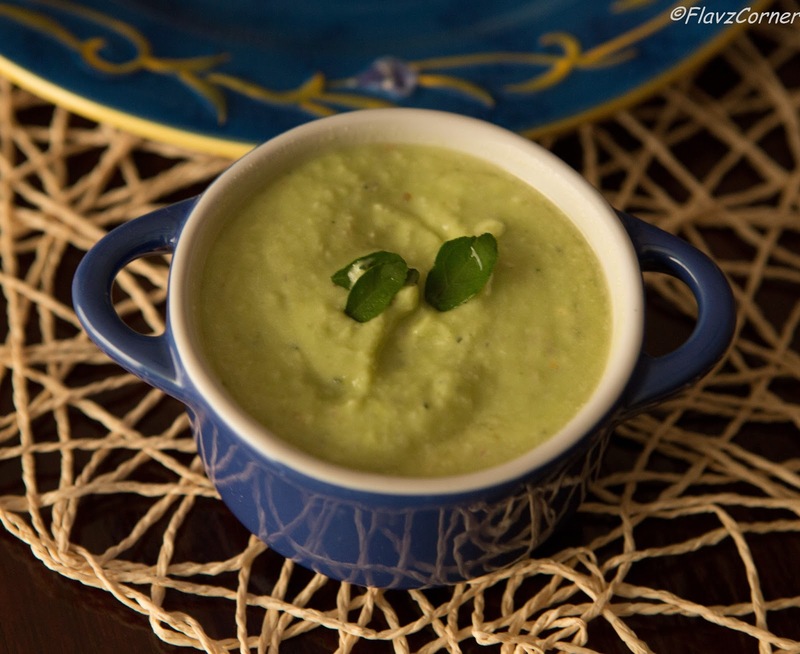 Blend all the ingredients for the chutney in a blender till the consistency of a smooth paste/ Chutney is attained. Serve with Idli (Lentil dumplings) or Dosa (lentil crepe). Increase the amount of green chili if you can handle more heat. If you are not using green mango, use the juice of half a lemon. Adjust the green chili per your spice level. You can garnish with tadka too. Shibi...intersting chutney...the raw mango would take away the strong avocado flavor - right? You don't taste avocado at all in this chutney. It tastes just like Mango chutney. The ginger, shallots and curry leaves gives it a wonderful Mango chutney taste. I had tried it without Mango and just with lemon juice and it tastes good. I want to try it without adding water and add little more coconut to make the chutney that can go with rice, like our nadan thenga aracha chutney. Great looking chutney! Mango is one of my favorite fruits, so I'd love this. Good stuff - thanks.